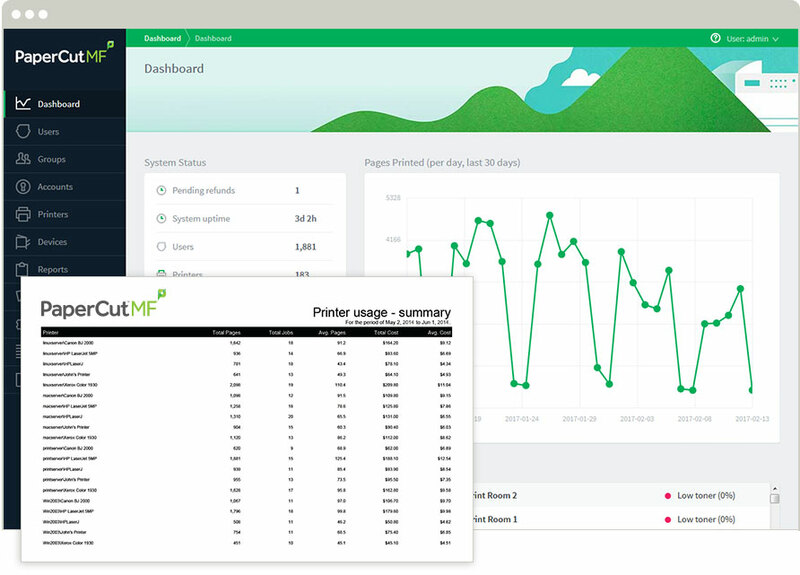 PaperCut MF uses your existing single sign-on infrastructure allowing users to log in with the same username and password used elsewhere on the network. No need to remember and maintain multiple logins! In addition to the above, PaperCut MF on Brother BSI supported devices enables convenient access via ID numbers or cards with optional PIN for added security and convenience. For more information about shared account see the Account Based Tracking in detail tour section. The Brother MFD solution is developed by the PaperCut Software development team. This means that the copier interface is consistent with the other PaperCut MF user interfaces. Users engage with a consistent and easy to understand device interface regardless of model. Integration is supported for compatible Brother BSI devices. The below list of BSI compatible devices has been provided courtesy of Brother. The availability of BSI functionality may differ from region to region. To know if BSI is available in your country, please contact your local Brother sales office. The Brother embedded MFD solution is developed in-house by the PaperCut Software development team. This ensures consistency in all areas of the application. All MFD embedded solutions communicate with the PaperCut server whether it be running on Windows, Windows Cluster, Linux, Novell or Mac Server. PaperCut is developed under a release-often policy where new features are made available to users as soon as they are complete. Unlike hardware based solutions, new versions can be installed with an easy 'over the top' update installation as new version are made available.